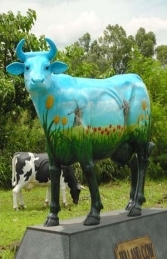 This gorgeous life-size Cow statue is custom painted with a delicate delftware pottery pattern of blue flowers on a creamy white backgound. 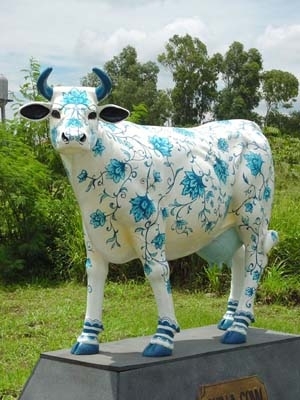 How about this for "a bull in a china-shop?" 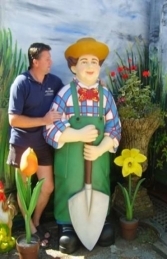 What a great center-piece for a ceramic display in a shop window or to advertise your pottery. 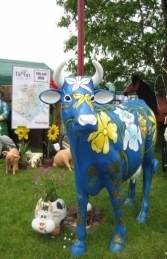 Our China Cow would make a great present for a fan or collector of Delftware ceramics, or look great with our Holland cow as part of a Dutch theme.